Aim: To analyse the relationship between the severity recurrence of old medical injury in exercise and exercise intensity effectively. Method: Carry on the analysis of 4000 students, being from different sports institute who are medically injured from January 2015 to December 2015, and make a detailed research for the relationship between the severity recurrence of old medical injury in exercise and exercise intensity. Result: After questionnaire survey as well as related research and analysis for all students, it is found that the injury types of all athletes are mainly old medical damage which mainly exists in waist, shoulders and knees. At the same time, with the increasing intensity, athlete's injury recurrence rate also is significantly increased. Conclusion: Old medical injury caused by exercise will have a serious impact on health of athletes and normal movement and so on. Therefore, we should pay more attention to the old medical injury in movement and the severity of exercise recurrence in old medical injury is associated to exercise intensity. Clinical scoring with ISS on old medical injury has an important meaning in the analysis of the damage degree. Analysis of the severity of exercise recurrence in old medical injury is helpful for staff to analyse the relationship between the severity recurrence of old medical injury in exercise and exercise intensity and then to arrange the relevant training content reasonably, which improves the sports training scientifically and rationality. Thus, it can effectively promote the progress and development of sports in our country. Sports injury (Figure 1 is the main injury types in running) mainly refers to a certain degree of damage in the organs and the body during the process of exercise . Sports participants are damaged in the process of exercise, the body and organs, known as sports injury . The severity of recurrent injuries in sports can be used to reflect the intensity of exercise and the amount of physiological load in sports practice, and can describe the health status of athletes [3,4]. Sports old medical injury will reduce the quality of athletes' training, affect the training and competition results, bring physiological and psychological pressure to athletes, and will also bring the loss of manpower and material resources to the country [5,6]. Therefore, to strengthen the sports injury research has become the focus of the analysis of related personnel [7-9]. The application of athlete's severity recurrence of old medical injury in exercise can effectively reflect athlete’s exercise intensity and the maximum body load. Old medical injury in exercise will seriously affect the quality of training and then affect the performance of athletes during the games, which will also bring serious pressure for athlete physiologically and psychologically. The increasing psychological pressure will have a serious impact on the game state, and thereby affects the athlete to play, which is not conducive to improving the performance of athletes and meanwhile it also causes serious losses of the national manpower and materials. The purpose of this study is to analyse movement old medical trauma severity recurrence relations with exercise. Therefore, strengthening the research on the sports injury has become an important topic. The author analysed the situation of injury and exercise intensity of 4000 students who came from different sports institute during the period from January 2015 to December 2015 in detail and then made an effective analysis of the relationship between the severity recurrence of old medical injury in exercise and exercise intensity. 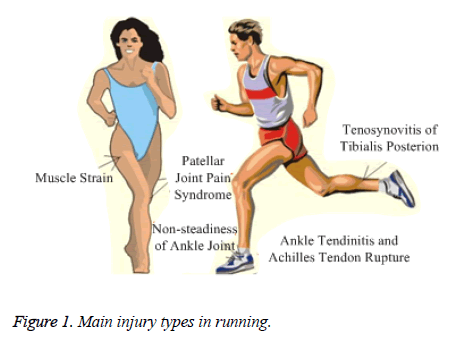 Figure 1: Main injury types in running. During the period from January 2015 to December 2015, we preceded effective analysis of 4000 students in different sports college, and then carried on the effective analysis of the relationship between the severity recurrence of old medical injury in exercise and exercise intensity. Our inclusion criteria and exclusion criteria refer to this document . Among all the subjects, there were 2980 male and 1020 female athletes. Among all the athletes, the maximum age was 24 y old and the youngest was 18 y old as well as the average age was (20.2 ± 1.1 y old). All the injured were in hospital within 24 hours and most of the patients had severe old medical injury. All the athletes involved in studies are healthy and did not suffer from heart and lung disease and other types of serious disease. Patients were in normal blood and there were no injuries before carrying out the research and during the process of development. It was no need for patients to do intense exercise before the test and prior to test. Meditation management was conducted and the change of heart rate was controlled below 5%. This research was approved by the Ethical Committee of Jilin Institute of Physical Education according to the declaration of Helsinki promulgated in 1964 as amended in 1996, the approval number is 2015003. CT (SIEMENS, Berlin, Germany), B ultrasound (SIEMENS, Berlin, Germany) and ECG (PHILIPS, Amsterdam, Netherlands) detection were conducted for all the participants and the different motion parts of the athletes were checked effectively to examine if there were significant differences in injury of male and female athletes. Athletes’ sports injury among the population were recorded and the gender, age and blood glucose changes were taken as a linear regression variables to conduct necessary regression analysis by using corresponding reference standard of variables . Figure 2 is the figure of CT test extracted from the selected researchers. 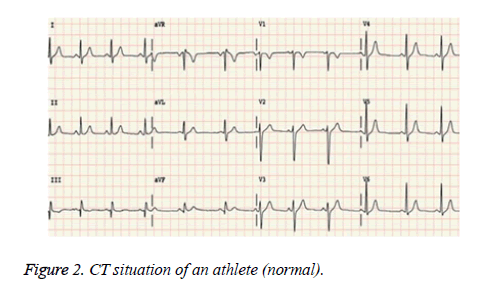 Figure 2: CT situation of an athlete (normal). The blood glucose, blood pressure, age, gender and cardiac abnormalities of all participants were analysed. The relevant data was accurately analysed by using linear regression equations and the correlation data was obtained, which was the relationship between old medical injury in exercise and exercise intensity. Our results found that the injury types of all athletes are mainly old medical damage which mainly exists in waist, shoulders and knees. At the same time, with the increasing intensity, athlete's injury recurrence rate also is significantly increased. The author conducted a necessary investigative statistics for all subjects and the statistical results showed that the main types of injury for sports college students were old injury recurrence phenomenon. The parts of old injury recurrence were mainly centralized in the waist, leg and knee . By analyzing the relationship between exercise intensity and old medical injury in exercise, the corresponding changing curve could be obtained (Figure 3). It can be found from the curve that there was a significant positive correlation between severity recurrence of old medical injury in exercise and exercise intensity . With the increase of the intensity of the athletes' movement, the recurrence rate of the old medical injury had been significantly increased. In the case of different load conditions for male athletes and female athletes, the recurrence rate of old medical injury was significantly increased, and to a certain extent degree, it reached a certain peak. This was mainly because the different athlete's body frame was different, and thus, its recurrence rate of old medical injury significantly raised . This required coaches to formulate corresponding training plan in daily training in accordance with different physical condition and physical load capacity for different athletes, so that they can provide strong guidance for the treatment . Figure 3: The relationship between old medical injury in exercise and motion load. Through studying the relationship between severity recurrence of old medical injury in exercise (Figure 4 is X-ray image of waist injury) and exercise intensity, the relationship between the two could be obtained to provide guidance for reasonably and scientifically formulating training plan . Among different athletes, the main injury was recurrence of old damage and these recurrence parts of old injury mainly focused on the knees and waist, such as waist injury, knee and shoulder injury . Analysis of these types of injury and treatment can provide an effective basis for clinical treatment, which has enormous clinical significance. The results of this study showed that with the increase of exercise intensity, the incidence of recurrence degree for old medical injury will increase significantly. At present, the severity recurrence of old medical injury in exercise has become the most important factor that affects exercise intensity. In this study, the severity of old medical injury was analysed by using ISS scoring method: less than 16 points was considered as mild injury and more than 16 points was viewed as serious injury and the injury recurrence rate was relatively high. The results of the study can show the significance of ISS score to the recurrence of old medical injury. In the course of the movement, it will cause some serious damage. With the passing of time and increase of exercise intensity, these injuries will cause serious old medical injury . In this process, once exercise intensity is strengthened, this will exacerbate injury degree of athletes who are in super load of exercise intensity, and further have a serious impact on the health of athletes. Therefore, in daily training, coaches should formulate the corresponding training plan to make the training more scientific and reasonable, which effectively ensures that the athletes carry out relevant training work in the normal exercise load, greatly promotes the recovery of athletes and improves the athlete's physical health level . With the increase of exercise intensity, the recurrence rate of old medical injuries is increasing, and the recurrence degree of old medical injuries is the most important factor that interferes with exercise intensity. This is also consistent with previous literature reports . But only 310 subjects took part in the previous research. In high intensity stress, there are a series of pathological and physiological changes in human nerve, endocrine, immune and other vulnerable areas, causing fatigue in human body. 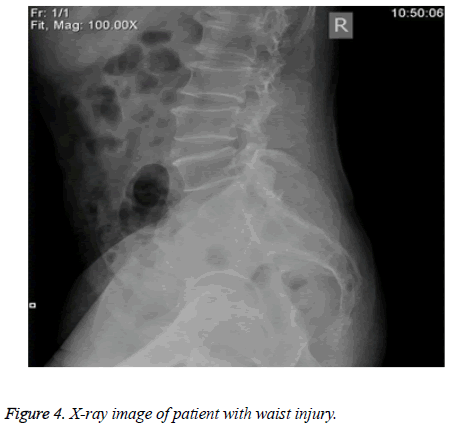 Figure 4: X-ray image of patient with waist injury. To sum up, in the process of exercise, due to insufficient preparation or some other objective factors, it will lead to injury in parts, such as body or pipe in the process of training and competition for athletes, which are known as exercise injury. The exacerbation of serious degree for the recurrence of old medical injury will seriously affect the health of athletes. The effective analysis of recurrence degree for old medical injury can be used to reflect corresponding exercise intensity and effective research on the athlete's physical load will have an important impact on competition results, health and career of athletes. So, in the process of athlete's daily training, attention to recovery of old medical injury can let the coaches and athletes attach more importance to the significance of sports injuries, so that it can focus on training methods and improve the training quality in daily training, and it also can effectively improve the performance of athletes and extend the athlete's career. Zhijian Z. Chronic medical injury recurrence severity relations with exercise intensity. Bull Sci Technol 2014; 21: 59-61+144. Møller M, Nielsen RO, Attermann J, Wedderkopp N, Lind M. Handball load and shoulder injury rate: a 31-week cohort study of 679 elite youth handball players. Br J Sports Med 2017; 51: 231-237. Meeuwisse WH, Tyreman H, Hagel B, Emery C. A dynamic model of etiology in sport injury: the recursive nature of risk and causation. Clin J Sport Med 2007; 17: 215-219. Windt J, Gabbett TJ. How do training and competition workloads relate to injury? the workload-injury aetiology model. Br J Sports Med 2017; 51: 428-435. Nielsen RO, Malisoux L, Moller M. Shedding light on the etiology of sports injuries: a look behind the scenes of time-to-event analyses. J Orthop Sports Phys Ther 2016; 46: 300-311. Bertelsen ML, Hulme A, Petersen J, Brund RK, Sorensen H. A framework for the etiology of running-related injuries. Scand J Med Sci Sports 2017; 27: 1170-1180. Leppanen M, Aaltonen S, Parkkari J. Interventions to prevent sports related injuries: a systematic review and metaanalysis of randomised controlled trials. Sports Med 2014; 44: 473-486. Hume PA, Lorimer AV, Griffiths PC, Carlson I, Lamont M. Recreational snow-sports injury risk factors and countermeasures: a meta-analysis review and Haddon matrix evaluation. Sports Med 2015; 45: 1175-1190. Hulin BT, Gabbett TJ, Lawson DW. The acute: chronic workload ratio predicts injury: high chronic workload may decrease injury risk in elite rugby league players. Br J Sports Med 2016; 50: 231-236. Nielsen RO, Bertelsen ML, Moller M. Training load and structure-specific load: applications for sport injury causality and data analyses. Br J Sports Med 2017. Congxin H, Shu Z, Dejia H, Kejiang C, Keping C, Minghong C, Jianzeng D, Wei H, He H, Hong J, Li L, Shaowen L, Xingpeng L, Yu L, Changsheng M, Jian M, Xu M, Lihua S, Xi S, Qizhu T, Zulu W, Liqun W, Shulin W, Yunlong X, Jiefu Y, Xinchun Y, Yanzong Y, Yanmin Y, Yan Y, Zhe Z. Atrial fibrillation : current knowledge and recommendations for treatment-2011. Chinese J Cardiac Pacing Electrophysiol 2015; 11: 377-434. Zhihui Z, Xinwen Y, Tuxun T, Hao W, Chengmin Z, Xinling C, Jinhui Z. Clinical evaluation of laparoscopic repair of delayed traumatie diaphragmatic hernia. Chinese J Minim Invas Surg 2015; 9: 143-145+155. Chinese Journal of Medical Imaging Subject Index, 2014. Chinese J Med Imag 2015; 3: 56-80. Baoxin L, Junhui G, Yingfeng C, Zhu L, Ji W, Jia Y. Clinical study on therapeutic effects of small knife therapy and tendon-soothing exercises for the treatment of obsolete ankle sprains. Liaoning J Trad Chinese Med 2015; 12: 1071-1073. Wei Z, Yucheng L, Cheng SQ, Jin Z, Chen Y. Effectiveness analysis of old extensor tendon injury in zone II. Chinese J Reparat Reconstr Surg 2015; 12: 1071-1073. Xiaoping S, Yingchun L, Zhe L. Analysis and loutermeasures research of injury of national indoor players. Sichuan Sports Sci 2013; 3: 39-41. Hongwei Z, Shaocheng Z. Repair of obsolete spinal cord injury and reconstruction of nerve function. J Clin Rehab Tissue Eng Res 2010; 27: 3757-3761. Yunfeng C. Pedicle abdominal muscle of old diaphragmatic hernia and peritoneal flap for treating 9 cases of intestinal necrosis. Publ Med Forum Magaz 2012; 14: 3941-3942. Xiaoyuan L, Chengla Y, Yun S, Meng J, Guanghui L. Treatment of chronically unreduced elbow dislocation with collateral ligament reconstruction and hinged external fixation. Orthop Biomech Mater Clinic Study 2013; 17: 16-19.